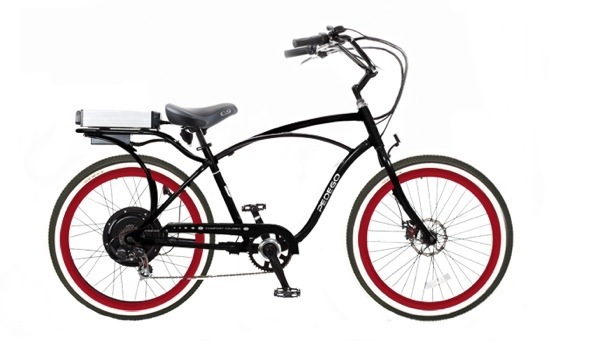 Ok so I just got off the phone with my Dad who was singing the praises of his new electric bicycle. So much so that he peer pressured my step-mom into the purchase of a “hers” version. Apparently they are two peas in a pod scooting (and pedaling) around downtown San Luis Obispo in their matching Pedego electric bike cruisers. Gotta admit, these bikes look pretty sweet and perfect for longer rides or pesky hills. My step-dad also has an electric bike. Hmmmm. So if you’re thinking of the perfect gift for your parents or spouse, this could be it! 3 out of 4 parents approved! !